I was having a bad day and feeling down when the author contacted me and sent me a copy of her book to cheer me up. How sweet of her! Cate is a 30 something who has lost her job and is feeling a bit lost. Due to the recession, her apartment is in negative equity, she can't afford her BMW anymore and has had to cut back on trips to the hairdressers, beauty salon and treating herself to good coffee. We all know what that feels like right now. Her emails to Oprah are a way of venting and her admiration of the star is endearing, in a cute, comical way. She decides to change her life and here begins her, often hilarious, attempts at starting her own business. She volunteers at a dog shelter, tries to create her own organic blue cheese dressing , takes a stab at being a hat designer and meets a wonderful old lady who needs help in her garden. Cate is basically a nice girl who has hit hard times but with the support of her sister and some great friends she tries to make a change. This novel is fun.....It is current and the reader will definitely recognise some of the cut backs she has to make. Each chapter begins with an email to Oprah, who Cate sees as an idol. Her requests for Oprah to adopt her are really funny and her reasoning for the requests are even funnier. There are a great bunch of supporting characters in the book. Vivian, the elderly lady she helps is a wonderful old dear who I would love to have as a friend myself. 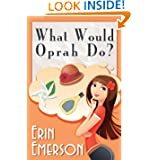 Unlike other female fiction, What Would Oprah Do? 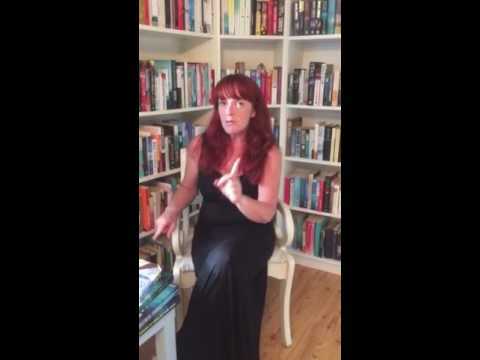 does not have filler chapters and does not rely on romance to carry it. It is a story of friendship and change. My day did get better after reading this fun book. What Would Oprah Do? is available all this week for the special price of 99c.